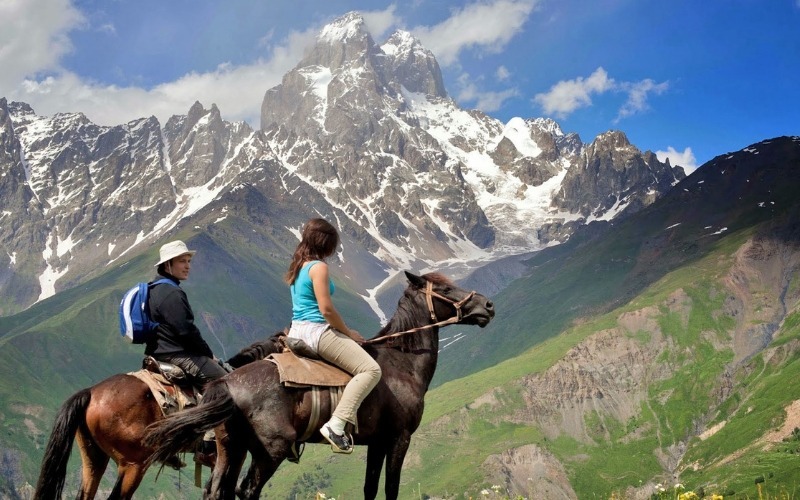 Why Trek The Caucasus Mountains On Horseback? “Your first trip to Georgia is unlikely to be your last”, says Wild Frontiers founder and travel writer, Jonny Bealby. Jonny’s itineraries are based on reliving the very experiences that first inspired him as a travelling writer. You will come to know and understand the people and places that have shaped his words and what could be more poetic than an equine adventure in one of the most hospitable and beautiful places on earth. It might also be that Jonny boy consumed more than his fair share of Georgian vintage and needs help piecing together the details of his galavanting days! You can hardly blame him, with historical evidence of viticulture dating back 7000 years Georgia has a good claim to the origins of wine-making. Feast On Georgian Delicacies And Feed Your Inner Poet. It’s safe to say the Georgians know how to loosen inhibitions and welcome weary travellers after a long day in the saddle but they’re also renowned for hearty home cooking, so you can live to ride another day. As you trot through the blossoming Caucasus range you will pass under bold snowy peaks and through historic settlements like Tusheti with its Tolkienesque defensive towers. We assure you it is a historic wonder, even if the name suggests a Beyonce single! Maybe you’ll even write a book about it all! 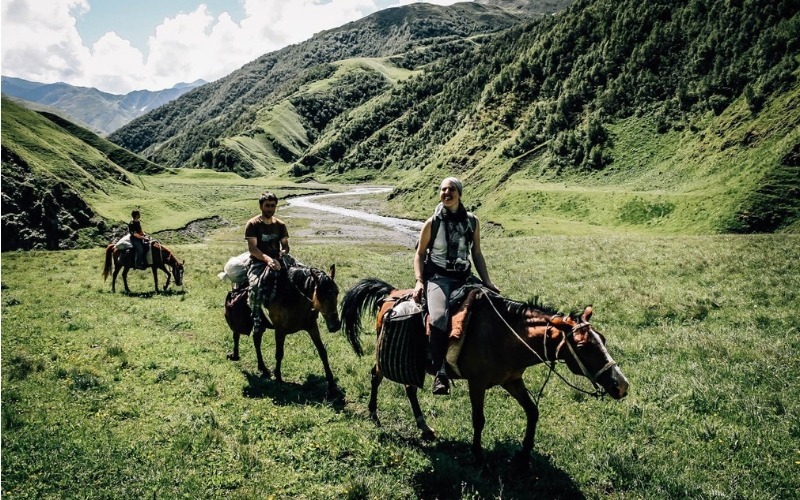 A horse trek through stunning Georgian hill country. Georgians really know how to cook and they make darn good wine!